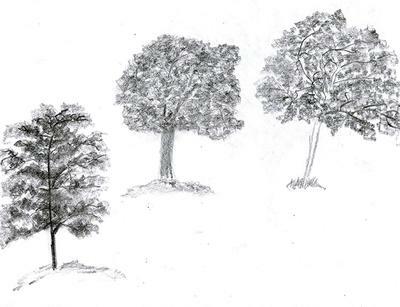 I have drawn one or two decent trees in the past, but I thought that I would try different styles of trees after reading the how to draw a tree. The one on the left is my favorite though. The other two trees I think has too much texture and the branches were not really defined enough.